Campaign is an absolute firecracker! 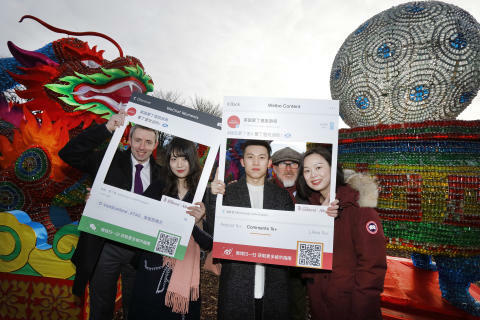 As Chinese New Year starts, Edinburgh has extra cause for celebration as a social media campaign developed to bring Chinese visitors to the city has been declared an incredible success by VisitScotland. The Edinburgh Chinese Social Media Campaign, launched in November 2016 by the Edinburgh Tourism Action Group, has acquired almost 60,000 followers and received 66 million impressions across its channels. Supported by a £40,000 VisitScotland Growth Fund award, it has been a dynamic and influential collaboration of China-focused businesses, securing 21 private sector industry partners, as well as providing Chinese social media briefings to 75 businesses and sharing best practice with 132. Edinburgh businesses are already seeing the benefits with participating businesses like Edinburgh Castle, Haggis Backpackers and Laing the Jeweller reporting 20 to 40 per cent increases in visitor numbers respectively. Five additional partners, including University of Edinburgh and the Palace of Holyroodhouse, joined the campaign as its success continued to grow. The campaign looked to position Edinburgh as a “must-see” destination for China inbound visitors and contribute to the city’s ambitions to double Chinese inbound tourism by 2020. It used influential Chinese social media sites, Weibo and WeChat, to serve up tips, itineraries and promotions in Mandarin from the city’s most popular tourism businesses, recommending key points of interest for Chinese travellers, such as history, architecture, film locations and shopping. China is an important and growing market for the Scottish tourism sector with Edinburgh being the most popular UK destination after London. Edinburgh Castle figures reveal that over 177,000 visitors of Chinese origin visited the landmark attraction in 2017. The campaign is part of the city’s China-Ready initiative - launched by ETAG in 2015 and supported by Scottish Enterprise - which has seen over 200 hotels, visitor attractions, universities, festivals and retailers across the city engage with cultural awareness workshops, guides and meetings aimed at increasing Chinese visitor numbers and developing the city’s position as a China friendly destination. 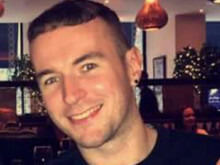 Graham Kelly, VisitScotland Market Manager China & East Asia, said: “The Chinese market has huge growth potential for tourism in Scotland so it’s fantastic to see the phenomenal success of the Chinese Social Media Campaign. “Supported by our Growth Fund, it has helped position Edinburgh as a “must see” destination for visitors from China. It’s great that Edinburgh businesses are already reaping the benefits and I look forward to welcoming many more Chinese visitors as this campaign continues to go from strength to strength. Malcolm Roughead, VisitScotland Chief Executive, is delighted to hear that Edinburgh was a runner-up for Britain’s favourite city in the LandLove Magazine Awards.